This gorgeous No 7 Round End Safety Red has the finest details and highest quality you will find anywhere! No 7 Round End Safety Red is truly remarkable. Product Details: Condition: Brand New Item SKU: SS-BRK-OP01698 Information: 4" closed. 2 7/8" stainless round end blade with crowned hand hallmark etching. Red dyed wood handle. Safety ring for locking the blade. Hang carded. 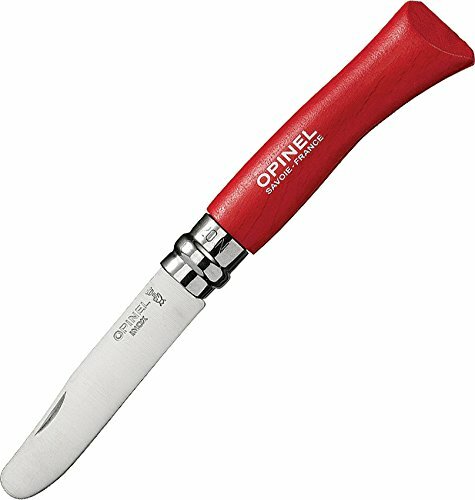 If you have any questions about this product by Opinel, contact us by completing and submitting the form below. If you are looking for a specif part number, please include it with your message.